Comment: Four double hung windows to replace smaller windows. Comment: Four regular sized windows needed to replace four smaller windows. Also one small push out window replaced with same size slider. Comment: I would like to get an estimate for bedroom window and 2 large windows in front and back of home, 4th possible window looks odd may need replaced as well weird frosted squares sealed together and strange dimensions. Replacing bedroom window for sure, front and back replaced they are plank windows with large square in middle. 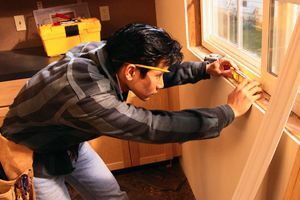 Johnstown Window Replacement Companies are rated 4.40 out of 5 based on 158 reviews of 9 pros. Not Looking for Windows Contractors in Johnstown, PA?